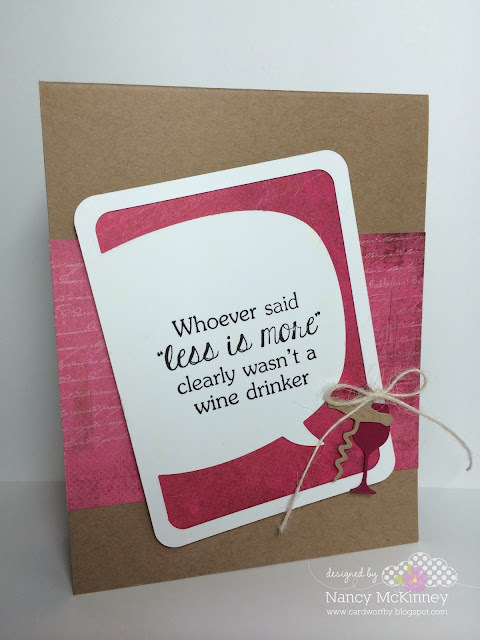 Card Worthy: Taylored Expressions November Sneak Peeks: Wine! I'm playing along again for the second day of November sneak peeks at Taylored Expressions. This release has so many fun dies that coordinate with new and existing sets, but today I decided to combine the Pockets & Pages Bubble In die with another favourite of mine—wine! This die is perfect for framing pictures and almost any sentiment you might want to include on a scrapbook page or card. I thought these Witty Wine Quotes were just cheeky enough to stand on their own with very little embellishment. For my second card, I flipped the die to point the quote bubble in the opposite direction and tipped it slightly to fit the sentiment. I also included the corkscrew and one of the wine glass charms to the frame. So sweet, Nancy! LOVE these quotes inside the Bubble In die! 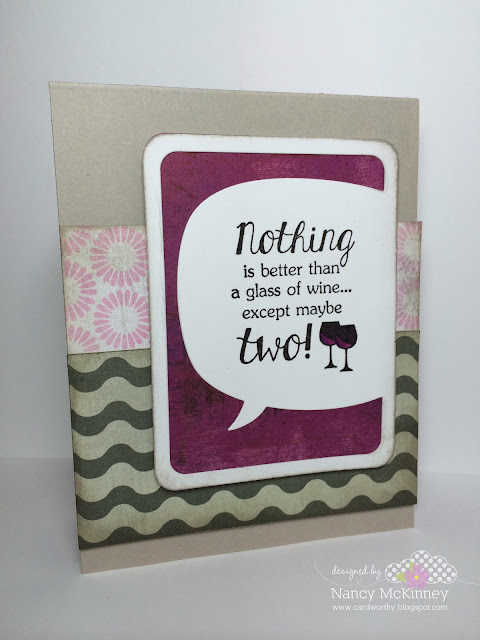 What a genius idea to use the Bubble Dies for your sentiments, Nancy...both cards look awesome!! !